Laugh IT Out: What Bush's Home Town Think About Him? 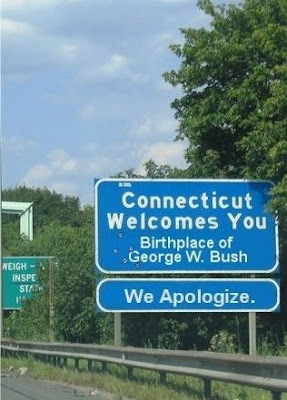 What Bush's Home Town Think About Him? Was that posted by the dixe chicks or what? FAKE! These welcome signs are not this shade of blue. There is no sign that has this nor the oval below it.